Fridays just got a whole lot better. 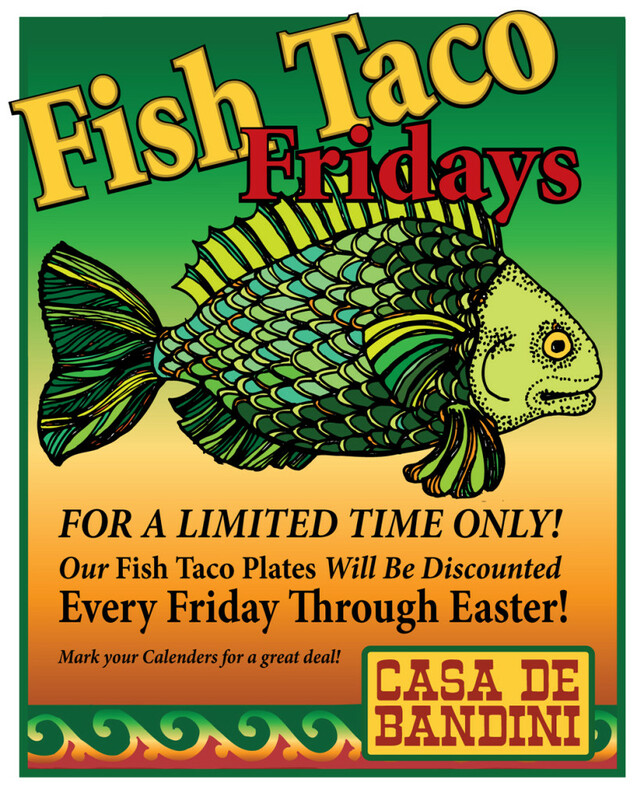 Casa de Bandini is now offering discounted Fish Taco Plates every Friday from now through Easter! You can enjoy the same delicious dish at an even more delicious price – talk about TGIF! 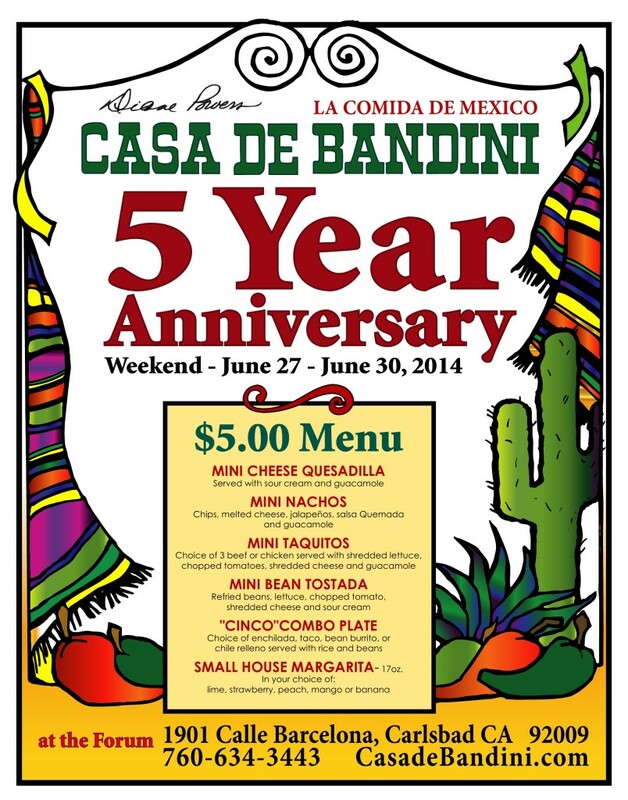 Make sure to mark your calendars and make your Fridays all about Bandini because this offer won’t last forever. 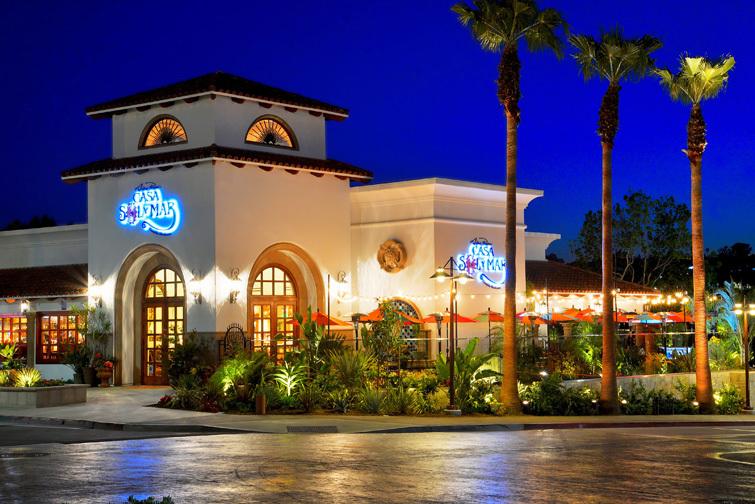 Ranch & Coast has named Casa de Bandini the best Mexican restaurant in San Diego! The magazine revealed its “Best of 2015” winners and Casa de Bandini took home the title of “Best Mexican” for the second year in a row. 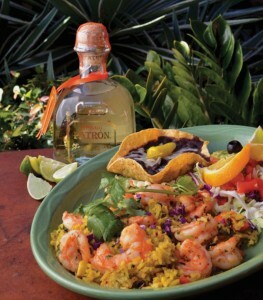 See what all the rave is about and try our authentic Mexican cuisine today. From our fine cocktail selection to savory dishes, you are sure to order a winner. Check out our menu and plan your next visit with us. 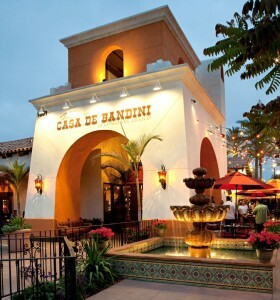 Give your holiday fiesta some Casa de Bandini flare, and let us host it here! You’ll find splashing fountains, festive strolling mariachis and frosty Birdbath Margaritas that will fill your guests with cheer at your exciting Mexican fiesta holiday party or company lunch! 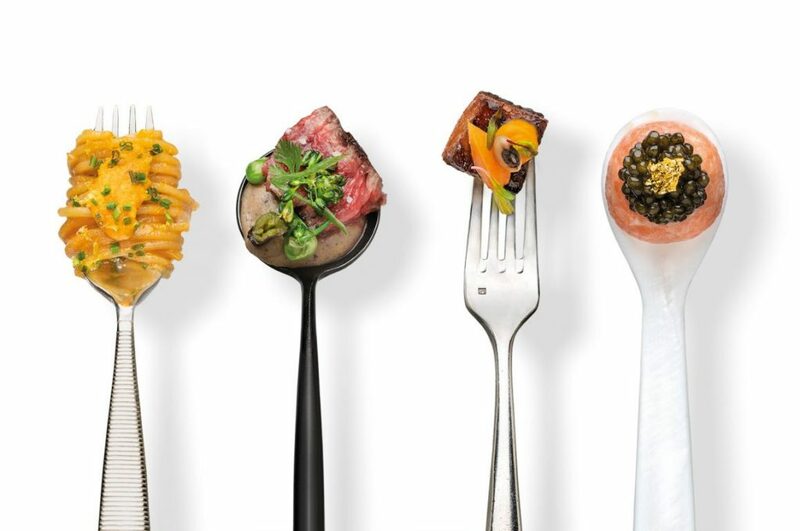 Choose from one of our affordable event packages, or let us work with you to custom design your perfect menu. Indulge in authentic award-winning Mexican cuisine among beautifully decorated dining rooms and an enchanting outdoor patio. 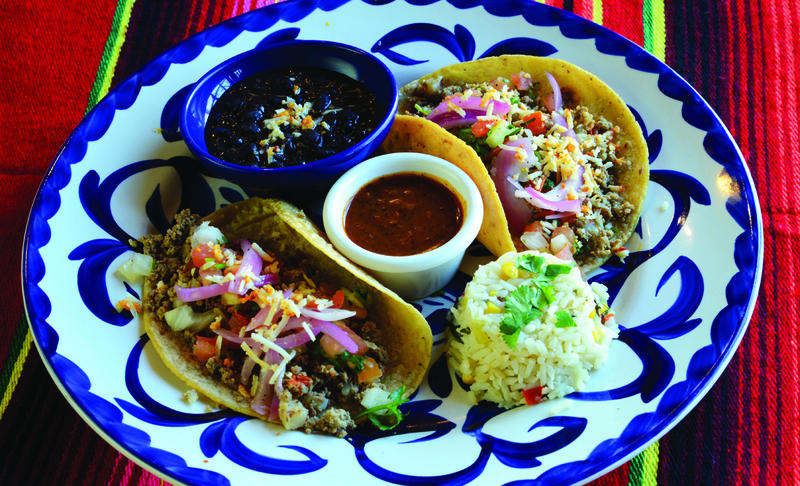 Diane Powers’ Casa de Bandini is a top North County destination for regionally inspired Mexican fare. 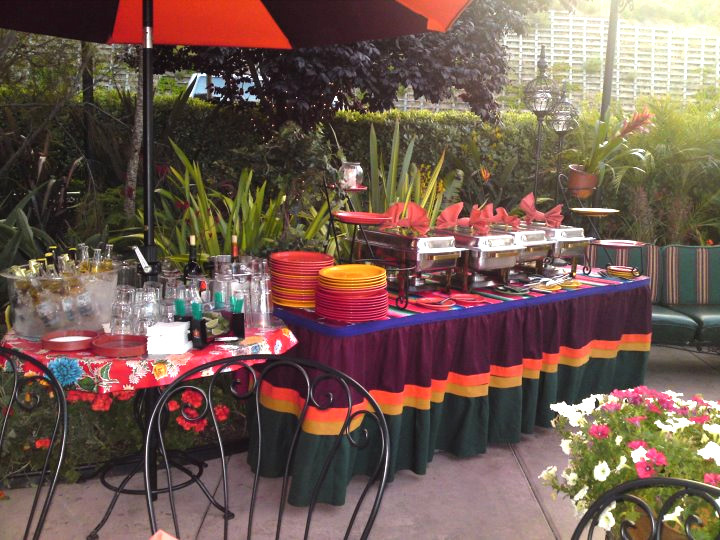 Casa de Bandini offers abundant banquet and catering menu options featuring award-winning authentic Mexican cuisine. 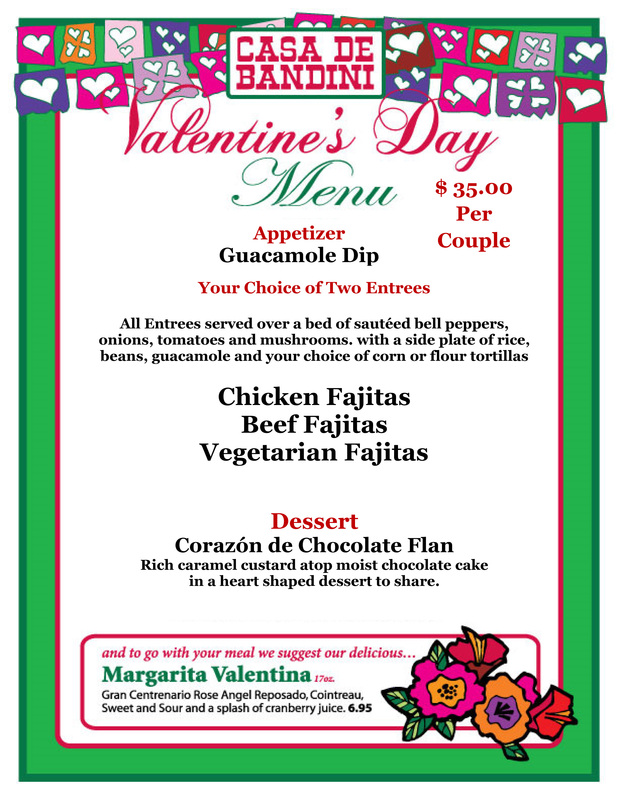 Only the freshest ingredients are used for their 14 salsas and sauces made fresh daily, delicious selections of homemade salad dressings, and hot corn and flour tortillas prepared throughout the day. Popular dishes include the flavorful Carnitas a la Michoacan, succulent morsels of pork served with hot tortillas, guacamole, salsa and beans. During the holidays, Casa de Bandini serves delectable Holiday Turkey Tamales, a beloved Mexican tradition, filled with tender turkey, raisins, chopped pecans and apples, all topped with a rich mole sauce and sesame seeds. Casa de Bandini also caters to the diner’s dietary needs with gluten-free, vegetarian and healthy dining selections. 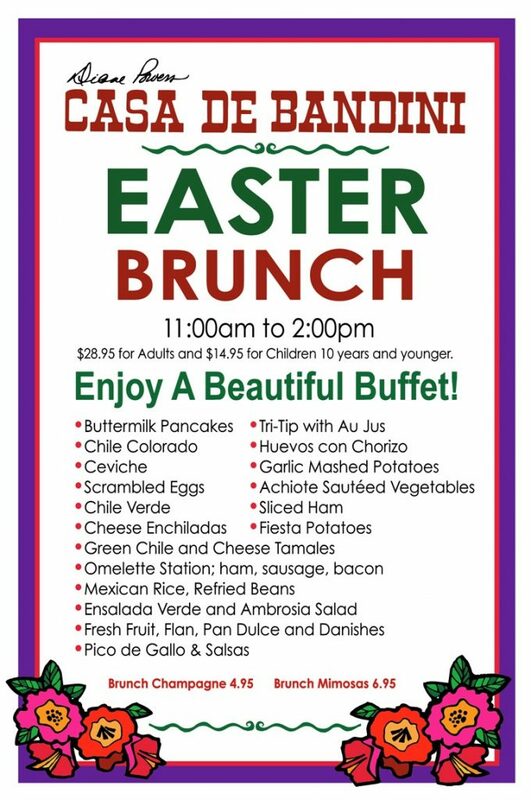 To let us bring the fiesta to you, call us at 760-634-3443 to discuss party-to-go options or visit our website to view our take-out catering menu. Flan –Traditional Mexican style custard with delicious caramel sauce. Churros – Golden fried churros dusted with cinnamon sugar. 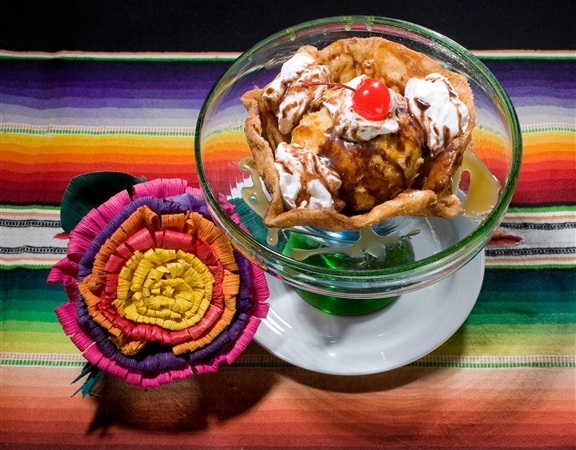 Hot Apple Burrito – A fried burrito with hot apple filling, sprinkled with cinnamon and served with ice cream. Bandini After Dark – Vanilla ice cream with Kahlua and caramel, served in a cinnamon sugar concha. Dessert Sampler – Churros, flan, sopapilla and chocolate lava cake with vanilla ice cream. There is always room for dessert here at Casa de Bandini!